Missing Filemon is a BisRock band based in Cebu City whose existence in local Cebu Music Scene ignited bisrock genre bands that nurtures the local music scene of Cebu. 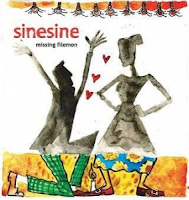 The youth, University students, out-of-school by-standers and cebuanos alike are inspired by the music composed by Missing Felimon headed by Lorenzo Insoy Niñal (writer and founder of Tsinelas Foundation) with themes from Cebuano culture and traditions, romance, friendship, camaraderie, cebuanos daily routine, history and more. Some of the bands who where also into the bisrock genre music scene are Phylum, Mantequilla, Agadiers, The Ambassadors, Aggressive Audio, Scrambled Eggs, Assembly Language and many more. Design must be based on the band’s image. Entries must be square, just like a CD cover. Entries must respect copyrights laws. Entries must be orginal and made especially for this contest. Entries must not contain disrespect for any living things, must not harm plants and zombies, and must not make birds angry. Each participant is allowed to submit not more than two (2) entries. Entries will be posted on MF Fan Page, http://www.facebook.com/pages/Missing-Filemon/168427226550202 where your relatives can like. The most number of likes may not necessariily be the winner, but will receive a special award. The winning entry will be used as the official Duha-Duha album cover. Winner’s name and contact info will appear in the album credits. A high chair in front of the stage will be reserved for the winner during the album launching. Awarding of the winner will be held on the album launch. Winner will be acknowledged by the band during gigs. 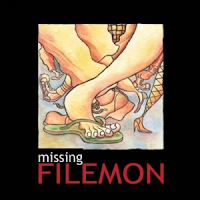 missingfilemoncebu@gmail.com, with your complete name and contact info. 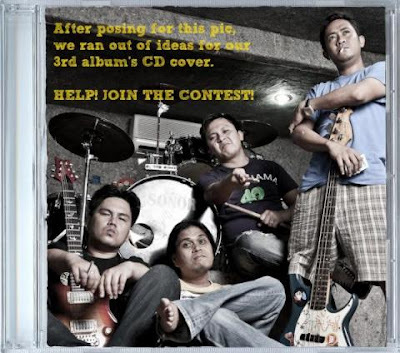 1 comments: on "Missing Filemon new Album Duha-Duha CD Cover Artwork Contest"
asa man tawn ko maka palit ane?? ?